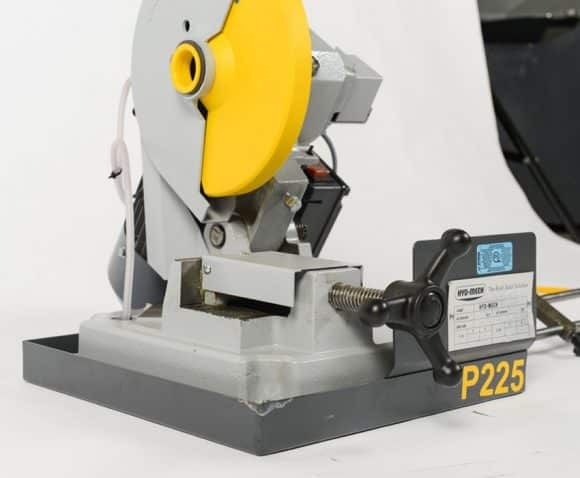 The HYDMECH P225 is a manual, pivot arm bench cold saw that is best suited for small shops. 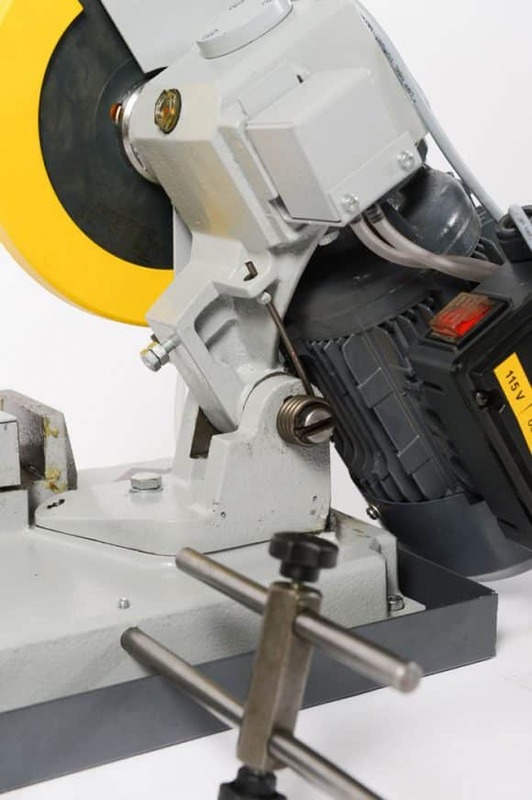 The miter cuts are enabled by the adjustable head that moves 45 degrees left. 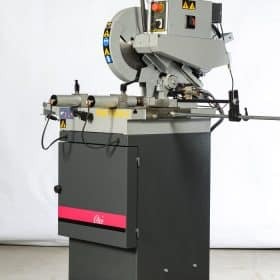 It has a cast iron frame that is very durable and easily cuts tubing, solids and structural shapes very fast all the while ensuring a smooth, mill-like finish. Its integral coolant system ensures there is lubrication for the blade and material during the cutting process. This is enabled by its flood coolant system with a membrane pump. 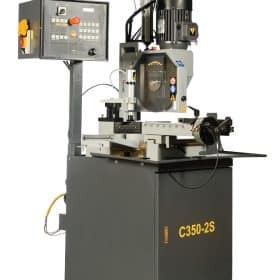 It has a high quality saw construction which utilizes a bronze worm gear and a hardened ground worm screw gear box that is in an oil bath. 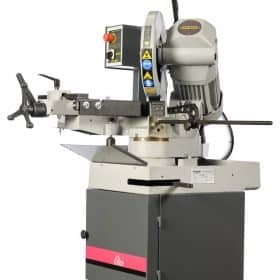 It features a 2 1/2’’ round hollow capacity, a 9’’ blade and a 1 HP motor which enables it to perform quick, clean and accurate metal cutting. 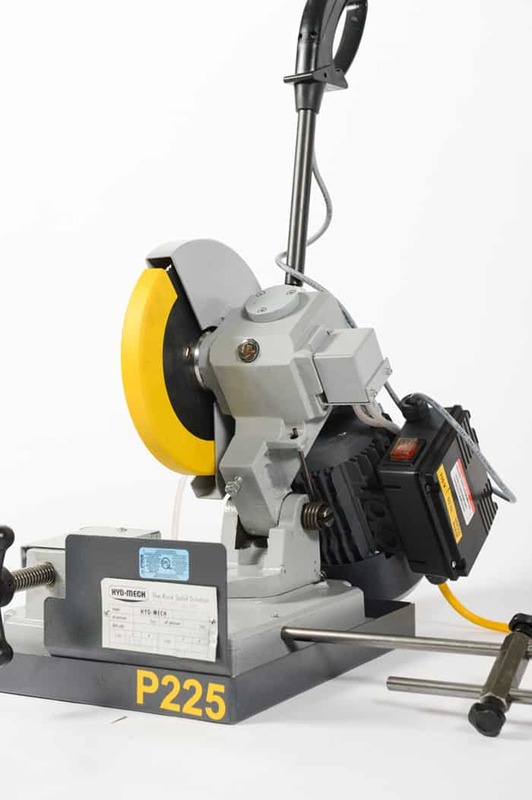 It achieves blade speeds of around 50 rpm. Has a flood coolant that has an electrical submersible coolant pump.